Hi everyone. Long time watcher, first time joining and posting...just wanted to share with you all something I've been working on for the last few months. 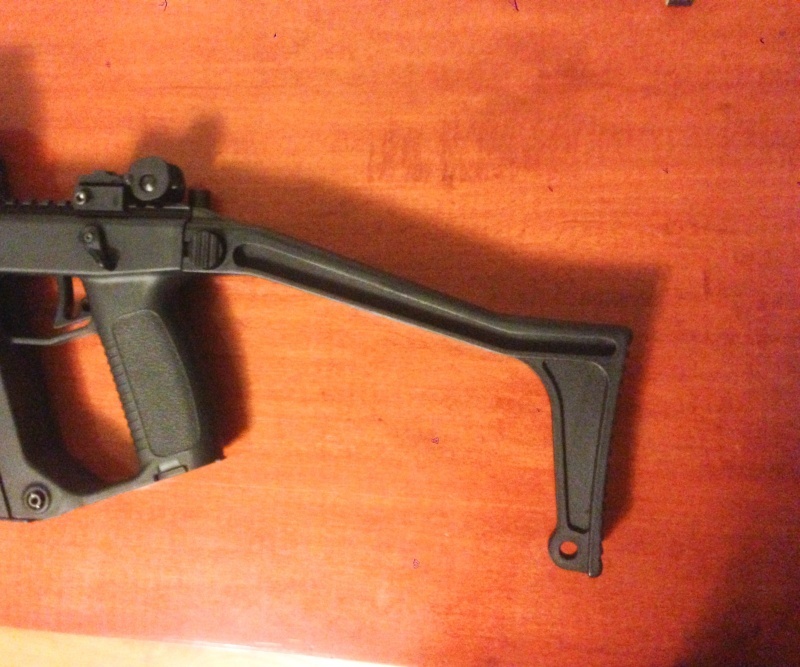 One of the first details that drew me to the kriss was the original prototype stock. I followed the progress and development of the civilian version, but was only disappointed when the final version was released. Ever since then, I waited and waited for aftermarket stocks but they never came. So I just decided to partner up with a machinist friend and just do it myself. Here's the result. So far, it has passed all my criteria for a stock. You aren't going to bash a door in with it, but it is sturdy, folds correctly, sling pin fits, and feels good against my shoulder. I'm interested!!! Is it just based off photos? How'd you make it? It was based of pictures in the sense that the measurements where extrapolated from various angles and the real stock. Thursday I will get some better pictures. 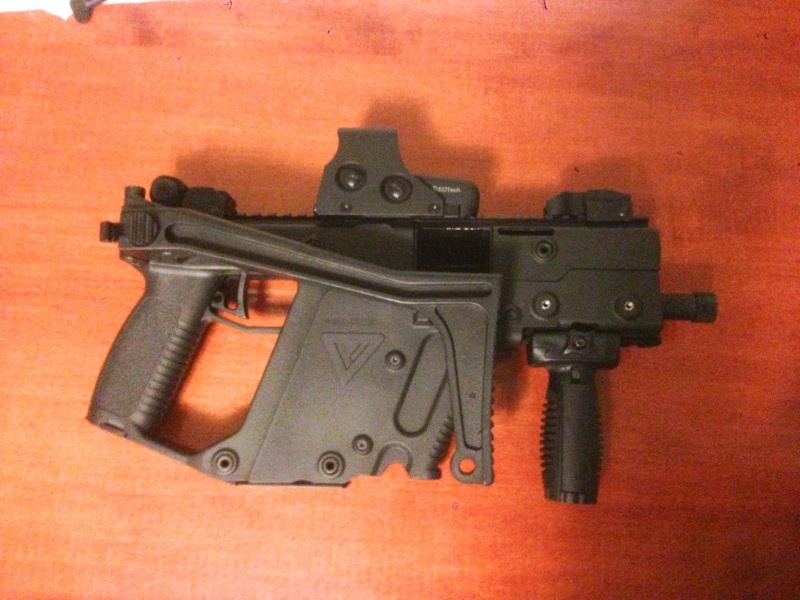 Ha, the VFG is something else I've had rolling around in the back of my head for a while but haven't got even close to that one yet. That's another thing I can't figure out why they changed in final production. It would be a match made in heaven!!! WOW!! I have always thought the same. Are you planning on making any more of these? If you don't mind my asking, what was the price for the one you have? 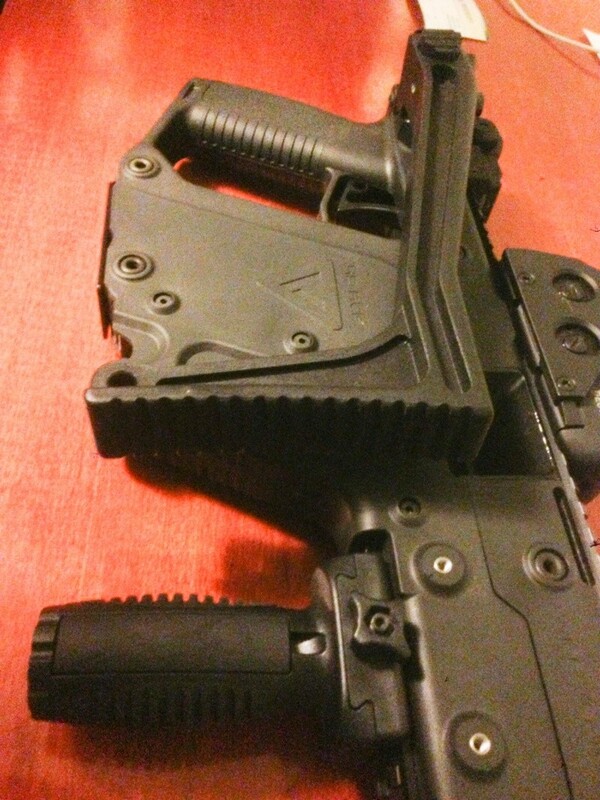 I know there are the airsoft versions of the stock and grip out there, but I haven't had any luck finding reviews on them. Just curious how similar this is to the airsoft versions available? You said you had to kinda make up your own dimensions. It looks great, though. Is it aluminum? I am most certainly interested in one, if it's anything close to a reasonable price. Thanks. What materials did you make yours of? Any chance we can get the info of the shop that did it? I'm really interested in how this was made and if they would do another one. Thanks. We can do more if there is a demand.I have no problem doing a run of them. If not, I'll probably just keep this as a one off to make me feel special. Sign me up!!! want one!! Any chance we can get some pics of the molds? I may have some interest as well. Any idea on price? I will take one. You mentioned $150 in one of your previous posts. Some may think that is high but some of my AR stocks costs about the same so count me in. I'll second that as long as we can see some of the details as far as how it's made. I won't say who was involved or what forum it was but there was a person a few years back who attempted to pass off airsoft parts as reproduction Bulgarian AK parts and was charging people premiums on some, what they thought, very rare parts and accessories. Needless to say the collectors were pretty upset. I'm not saying that is what we are seeing here, but I just want to make sure the process starts out open and honest. That being said, I'm most certainly interested in this stock. Q: Can we make more? Q: What's the name of shop that did this? A: No "shop" just me designing it, and my friends executing it for me. Q: How much for one? A: Ummm...If we wanted to make more for sale, I'd have to work out the details of pricing/availability with my friends but any more it's just looking like too many headaches. Thanks again for expressing interest in this. I hope to see what I can do with a combined vertical grip next. Any update on this? Any chance we could see some pictures of the mold or anything else you and your friend have? I'm still interested in the process for sure. I'd like to see how yours stacks up against the airsoft version that's out there. Thanks. And this is exactly why I was under the skeptical impression that the stock on display is simply the airsoft version available all over the internet. do you have a link set up for any orders I would like to buy one? 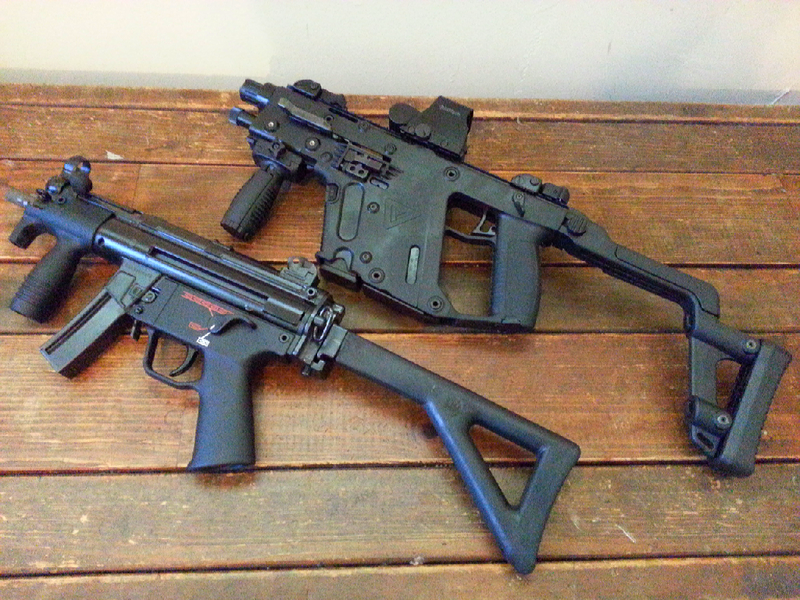 Got links to the airsoft replica stock?